At Mast Law Firm we have significant experience helping with insurance disputes. Call today! Entrepreneurs face many touch decisions when launching new businesses. At Mast, Mast, Johnson, Wells & Trimyer P.A, our business law attorneys and corporate lawyers have represented small companies and large corporations for more than four decades. We are well-prepared to help you make your vision a reality. Contact us today for experienced legal representation. Since 1962, our attorneys have worked with family-run businesses, as well as publicly traded companies. Our approach has remained consistent over the years – we cultivate close business relationships with our clients in an effort to understand their current and long-term goals. Where will your customers be located? Who will be in charge of the business? What type of business will you be involved in? What will be the company’s liability limits? What types of insurance coverage will you need for your business? What rules, regulations and laws will your company need to comply with? This detailed analysis will help us determine if your company should be listed as a general partnership, limited liability corporation (LLC), or possibly a C or S corporation. Contact Mast Law Firm Today! If you want to start a business, you need an experienced attorney. 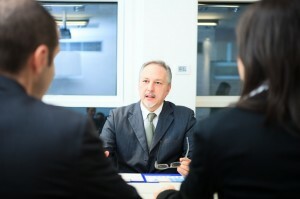 Our legal team has more than 40 years of experience in business and is ready to help you. Call us at (800) 280-6676 or e-mail us to schedule a flexible appointment. Our lawyers offer confidential consultations at our law offices centrally located in Garner and Smithfield. For more information visit our legal services page.